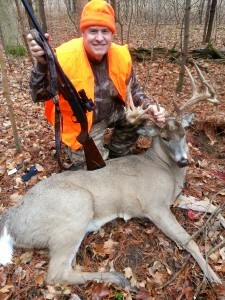 Did Your Deer Hunting Gear Perform? How was your deer hunt? 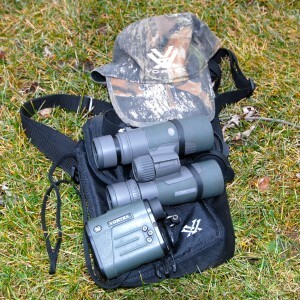 Was your Deer Hunting Gear up to par? I had a great year with my best buck yet. It was also a year of not seeing any deer while in the stand. 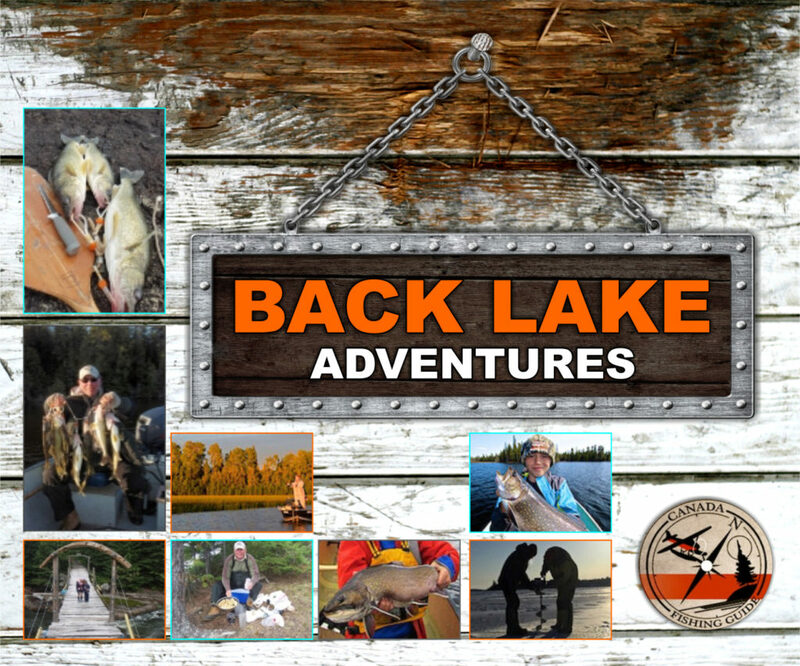 As my 2015 hunting season ends I want to say thanks to the many manufactures of the numerous quality products I use on every hunt. 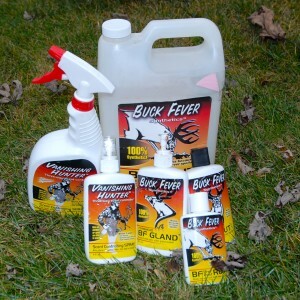 As a distributer of Buck Fever Canada Synthetic Game Attractants I can only say I have used them since 2009 with very good results. In the last 3 years I tagged my 3rd and my largest bucks yet. Both Bucks were over 4 years old. While both bucks were taken at short yardage from my tree stand locations intended for bow it was during the 5 day shotgun hunt. Longest distance was 32 yards shortest was 9 yards. I started with 4 scrapes and rubs, by November there were 16 others from Bucks competing with my BF scrapes. 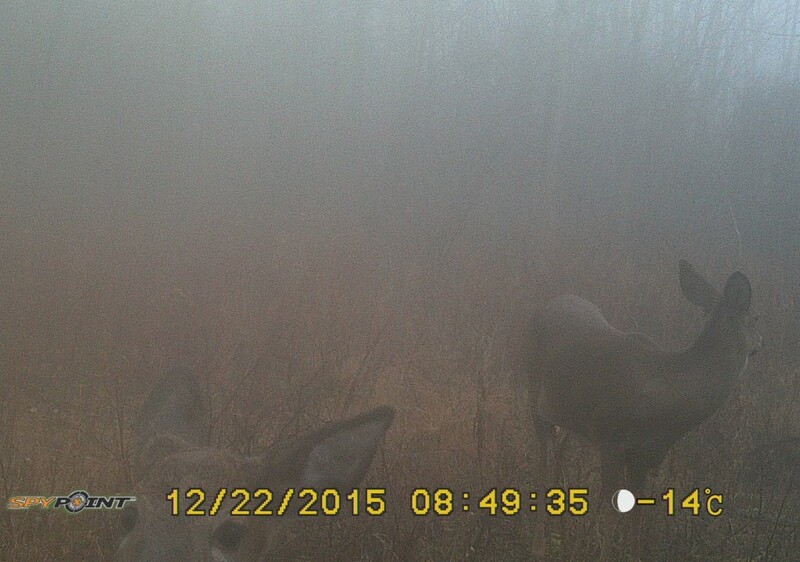 Many deer hunters use trail cameras to get an edge, or to know what is passing through their hunting area. 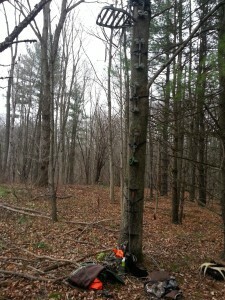 I have used Spypoint trail cams for over 7 years on all my hunting properties. 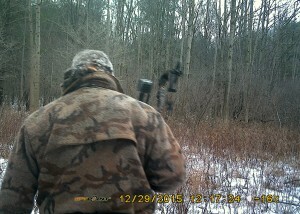 Some hunters say deer avoid trail cameras, I say they don't! 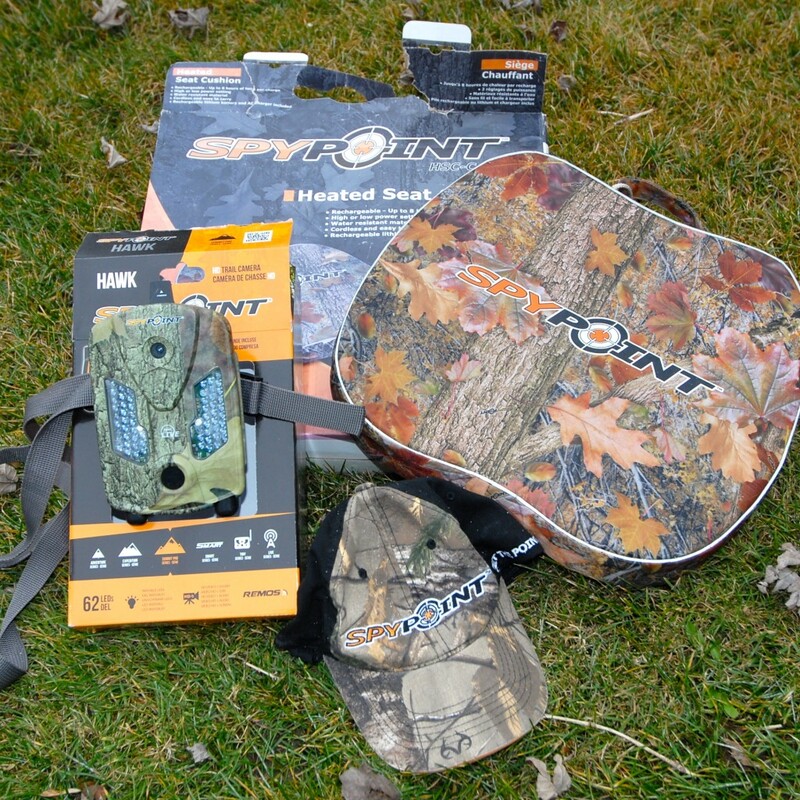 AS a long time Pro Staff with Spypoint, I just want to say thanks for some awesome products. I use them year round for pre/post deer scouting. I have also depended on great optics for my hunting. 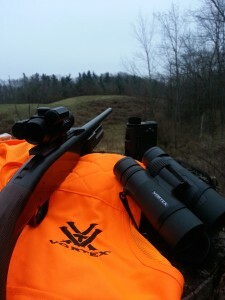 I have used Vortex Optics since 2009 on all my hunts. 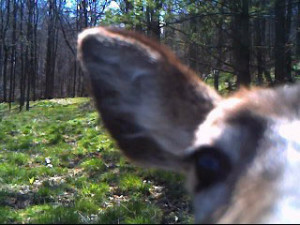 What do YOU look through to spot deer while hunting? 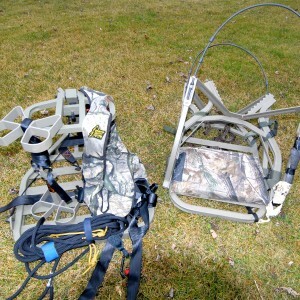 In the stand I depend on Summit Aluminum Stands and steps and my climber. So what else do you depend on to hunt deer? 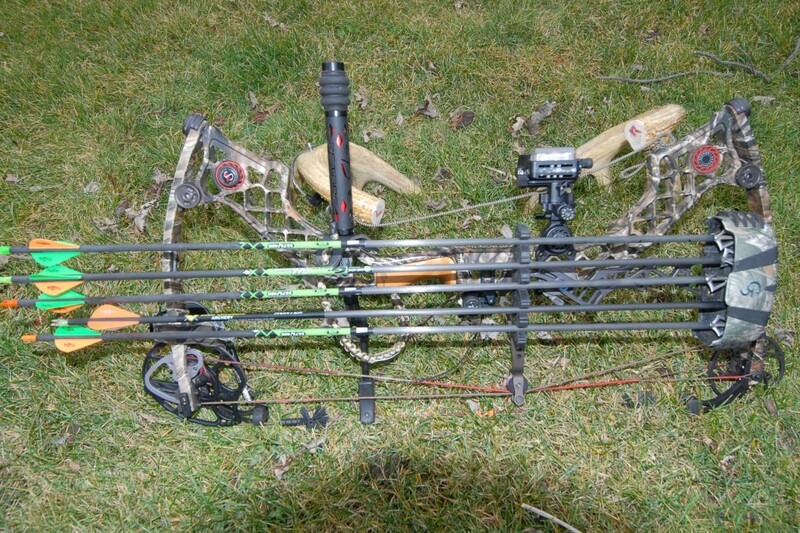 Well my Matthews Z7 Extreme in Ontario's long Bow Season and my Browning BPS Pump during the short shotgun season. 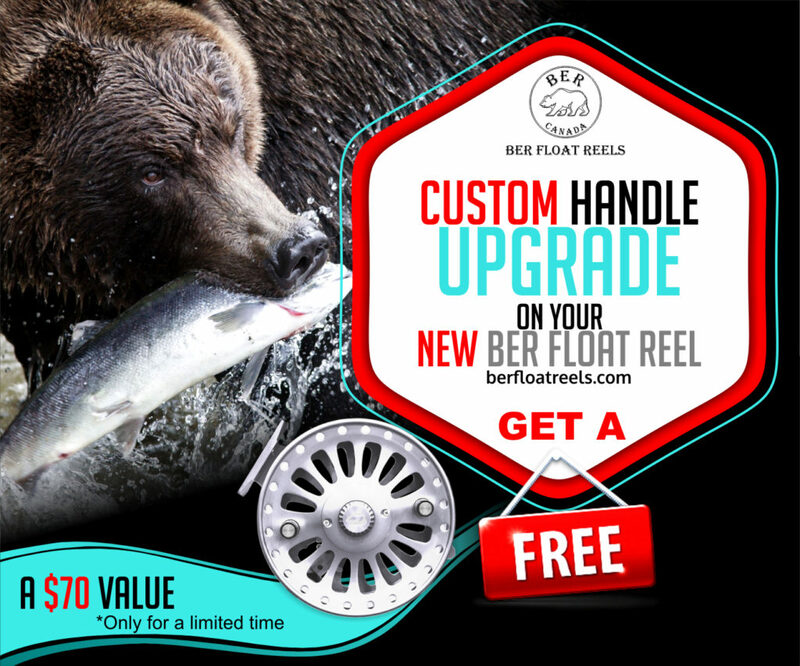 I have lots of extra items that help make my hunts a success, how about you? 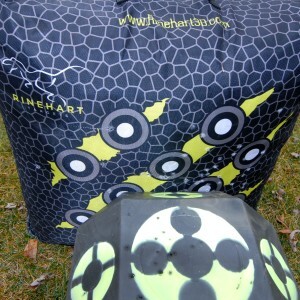 A special thanks to my hunting buddy Tom Carr Fatal Force Outfitters for setting up my Z7 to shoot dots at 60 yards. 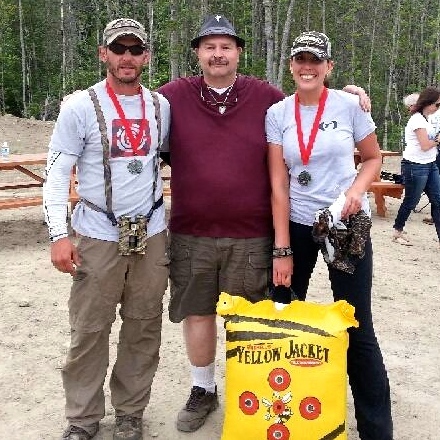 So what do wear on your deer hunt to avoid detection? 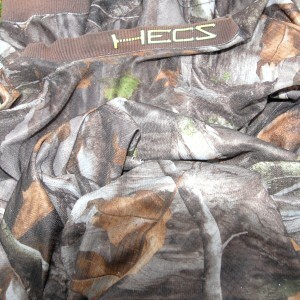 I depend on my HECS suit. Been wearing one since 2010, thanks to Mike Slinkard CEO of HECS. I was eager to try this new science for hunters, it really works! I have literally had deer, coyotes, wild turkeys and other small game mere yards away and not be spooked! What else do YOU wear on your DEER HUNT? 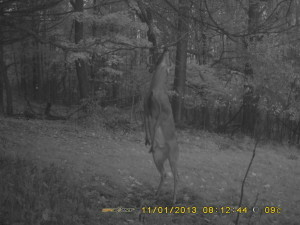 plus some Buck Fever Scent Control applied to bare skin to help eliminate it. I usually alway wear my favourite Bow Hunting camo pattern over all my clothes. Bought it new in 1985, best garment ever. I prefer wool as it is silent, what do you use on your deer hunting gear? Often while hunting deer the thermometer plunges and winds whip a nasty shiver through me. 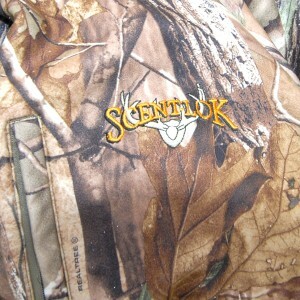 When those hunting days are sending chills down to my core I put on my ShiverShield vest. 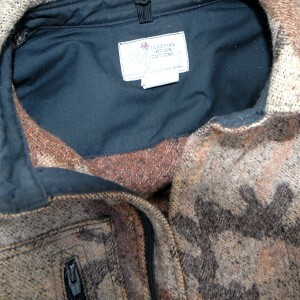 under my wool camo. 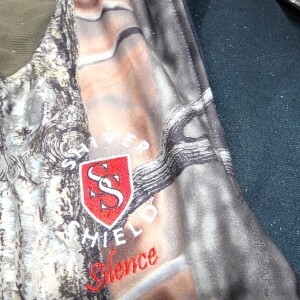 If you hunt deer in frigid weather check out Shiver Shield clothing line. Some of my deer hunting properties have food plots planted to keep deer there year round. 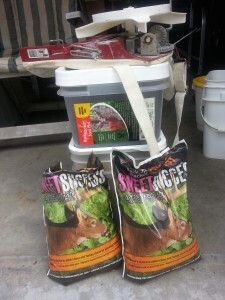 I always depend on RackStacker products to keep deer healthy in the off season. 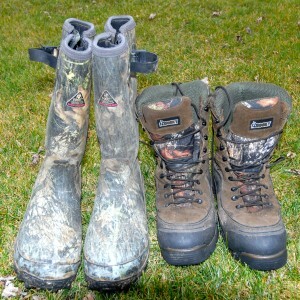 So how do you keep your feet warm and dry when Deer Hunting? I wear Rocky Boots ! So I know many manufactures hunting products weren't included in today's list. As the majority of deer hunting products I use are purchased at retail costs while a few products I have used for years and continue to promote regardless if I was a pro staff or not. I still buy all my gear with no freebies. You get what you pay for over the years. 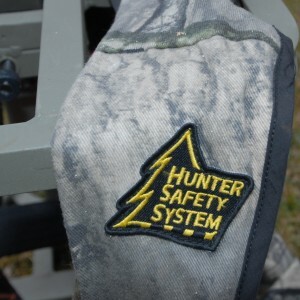 This is my goto page of deer hunting gear and products. 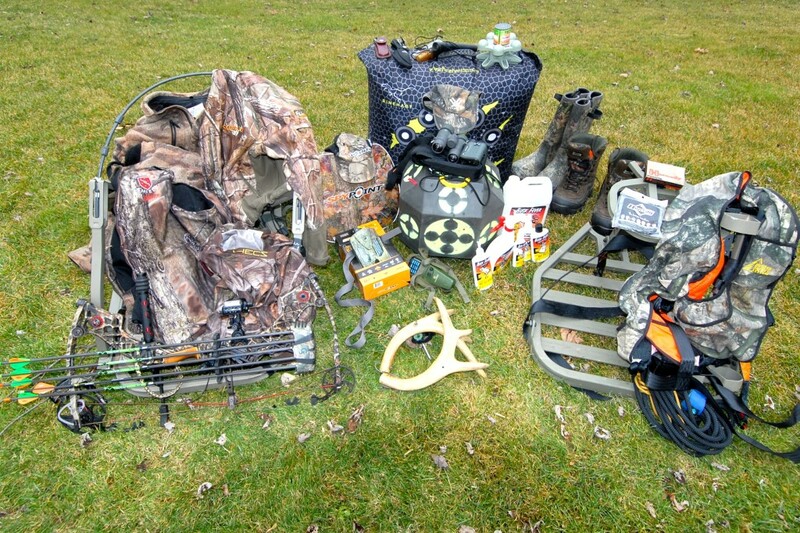 I'm sure many deer hunters have a gear list longer than mine! 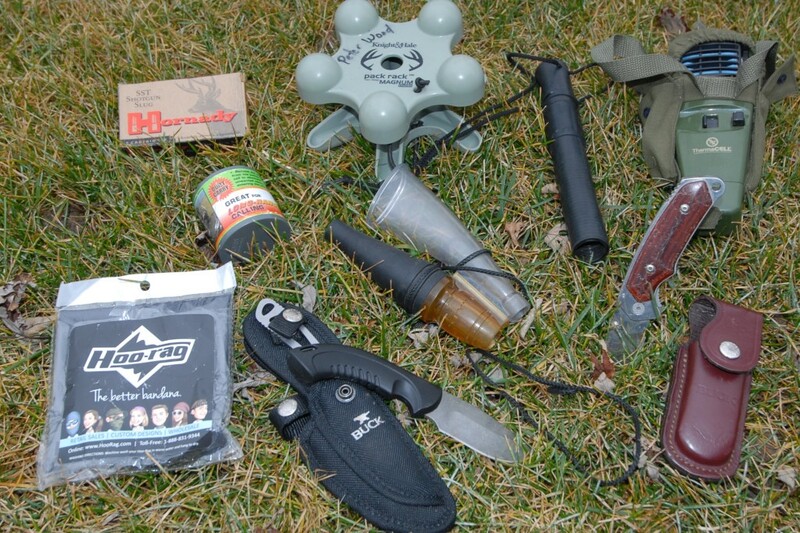 Was your deer hunting gear list longer? 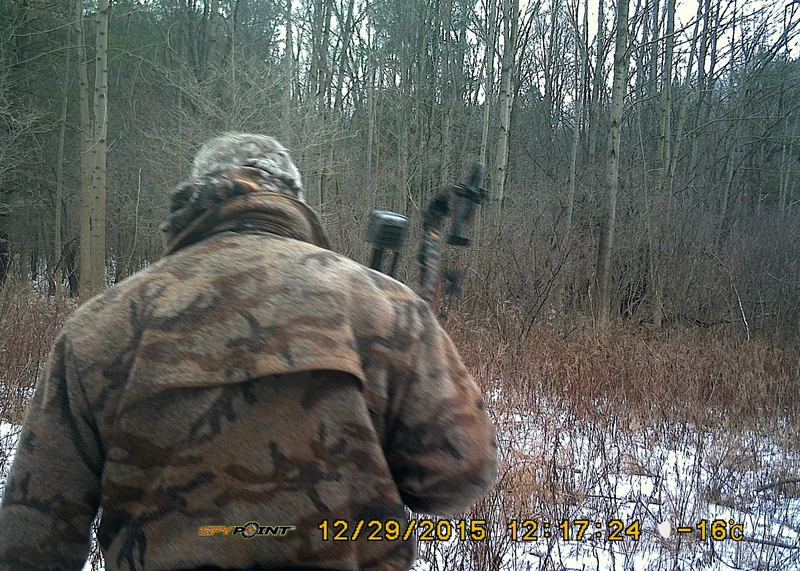 I didn't get to fill my extra deer tag in 2015, but not for lack of trying. 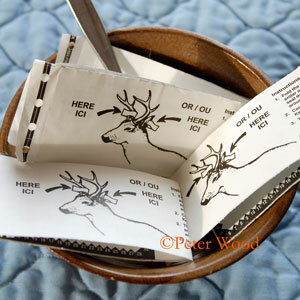 Was deer tag soup on your menu in 2015? 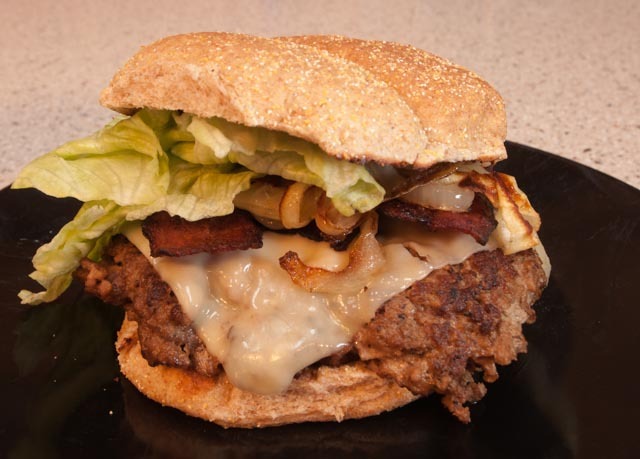 Hopefully you enjoyed a tasty venison burger or roast. Its always good manners to drop off some venison to the land owner!